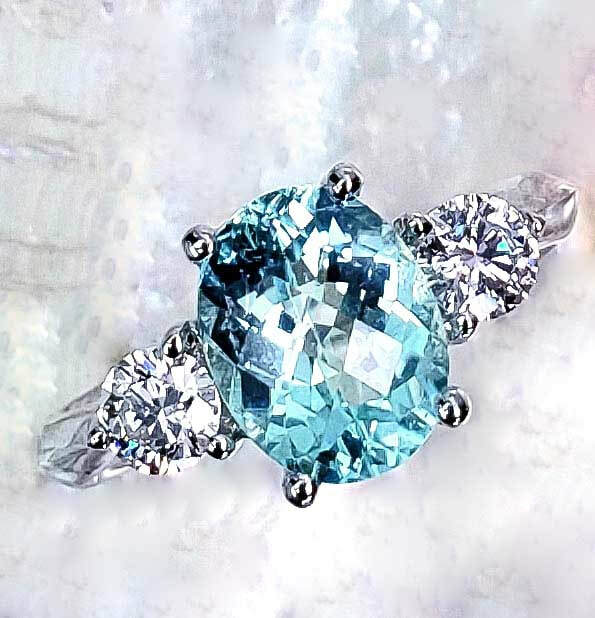 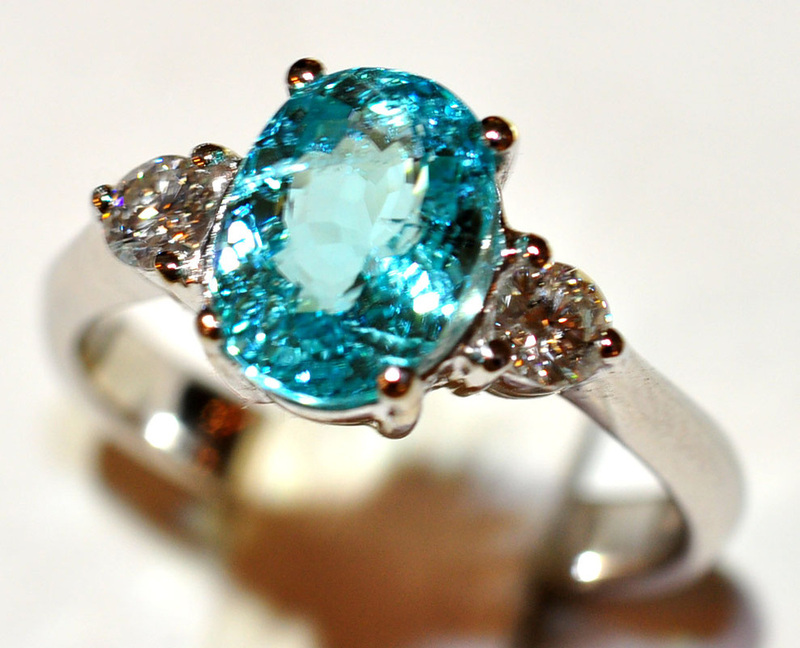 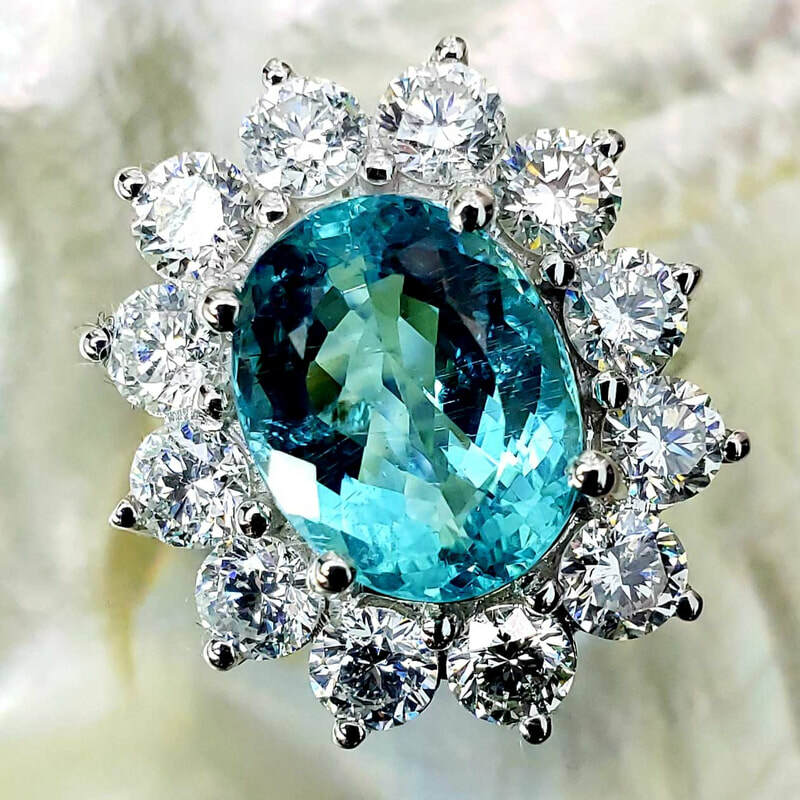 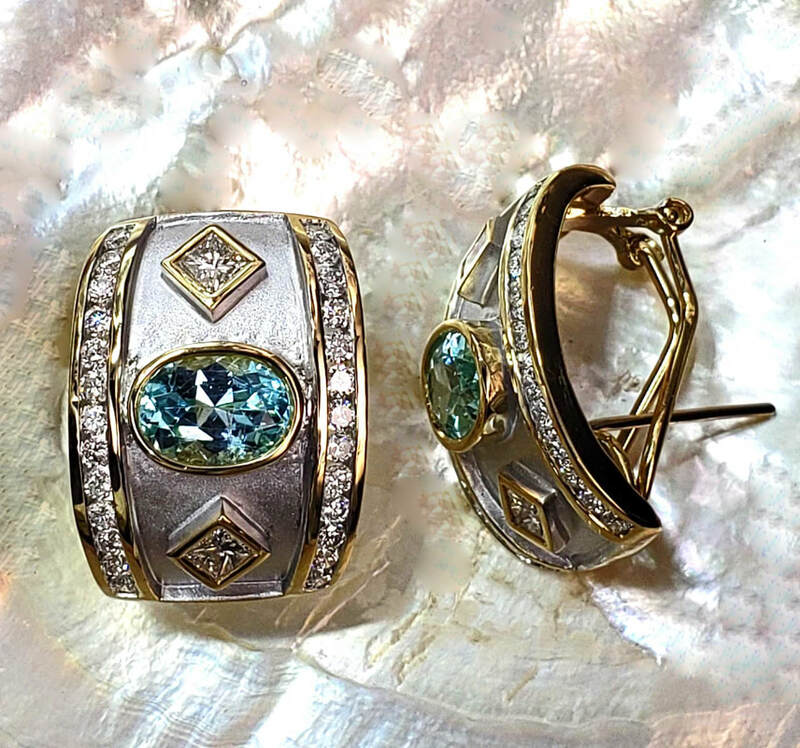 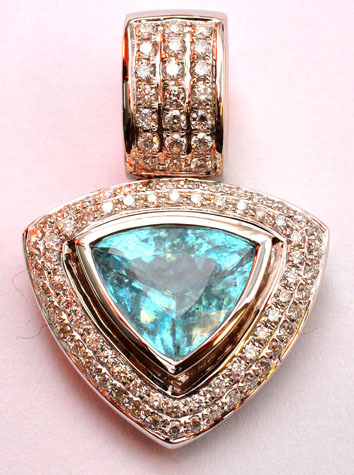 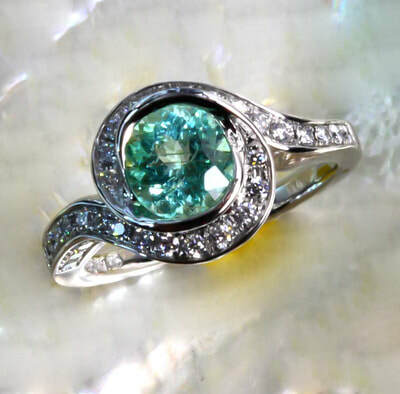 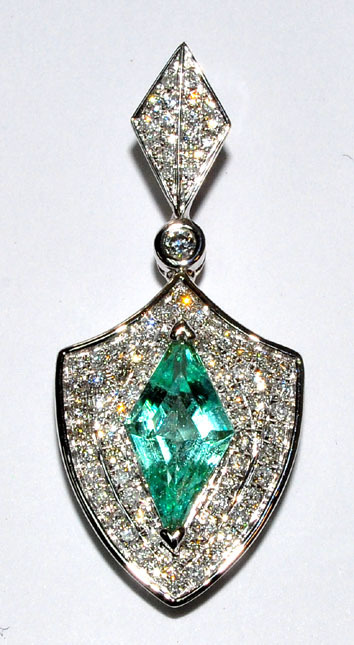 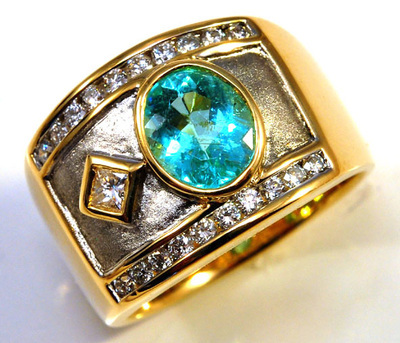 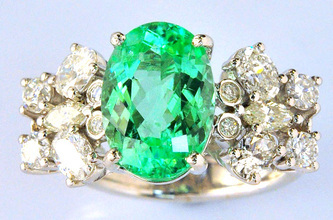 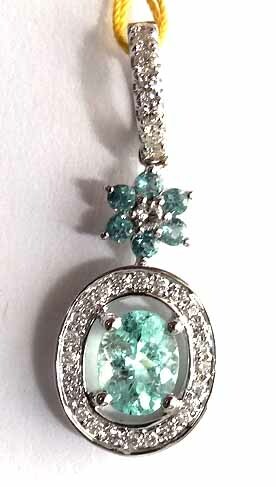 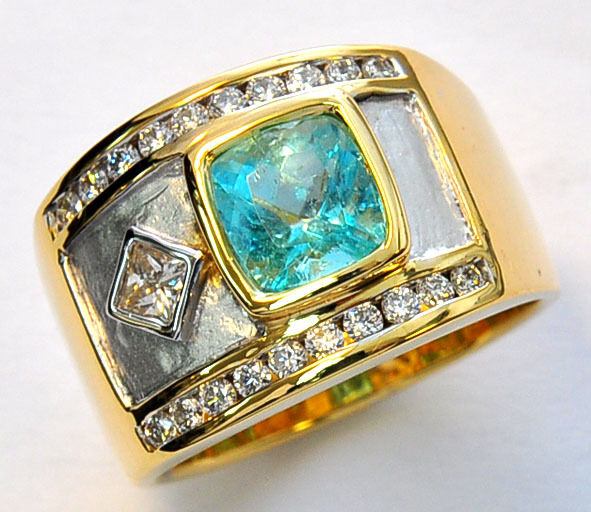 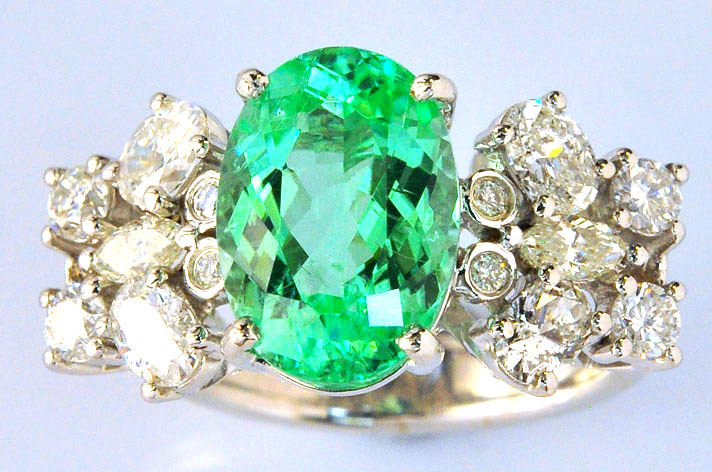 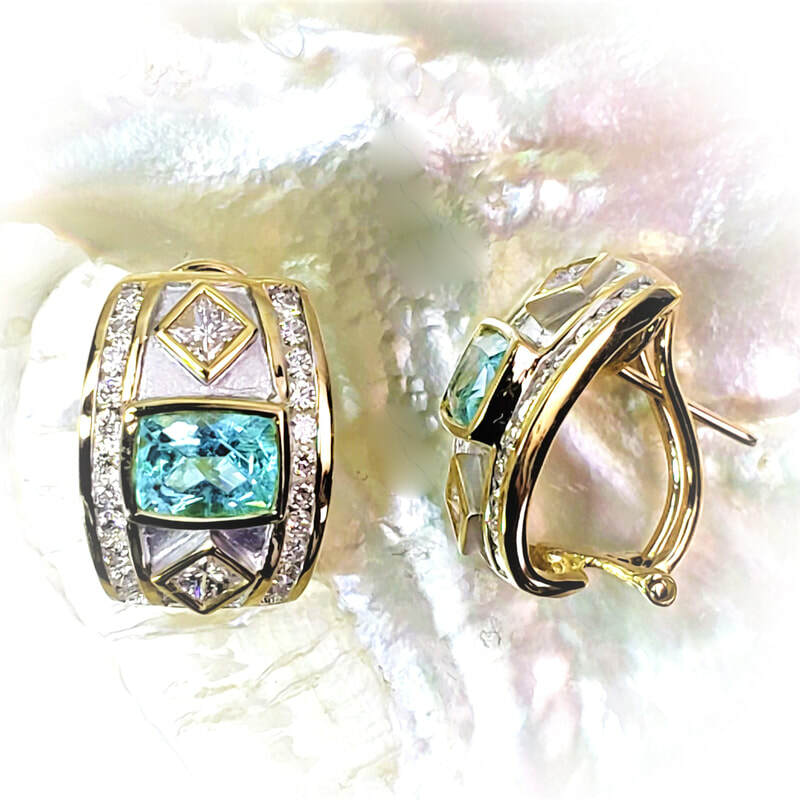 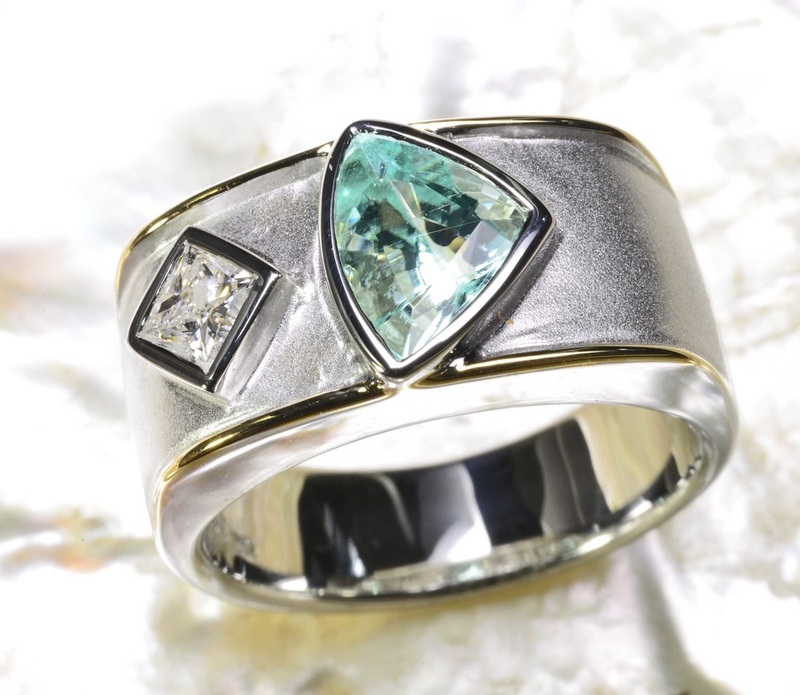 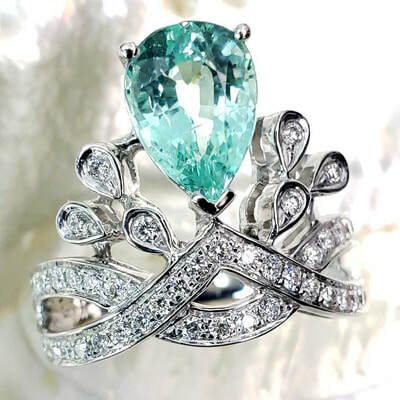 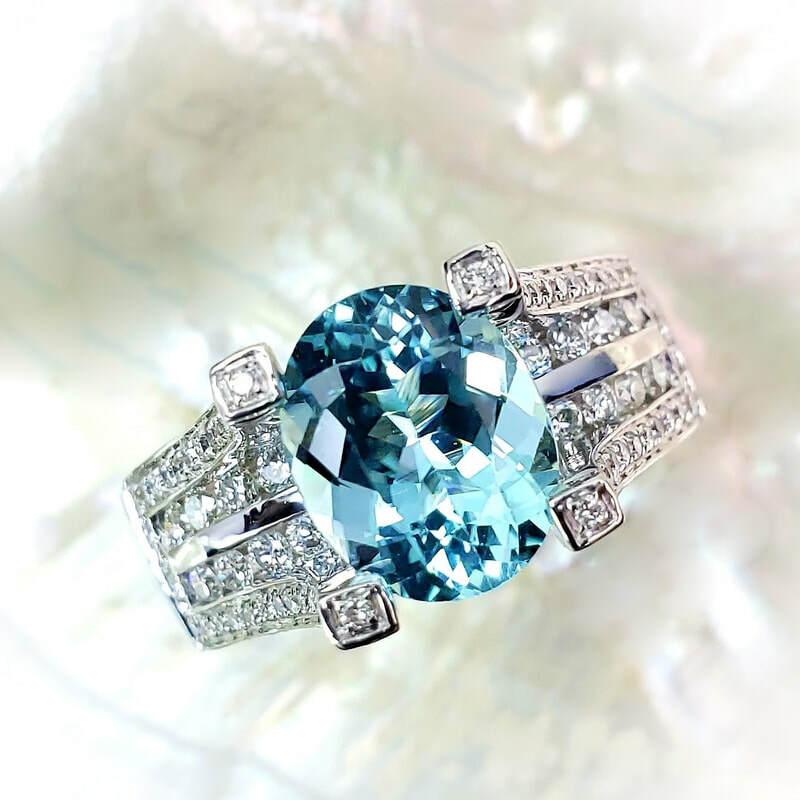 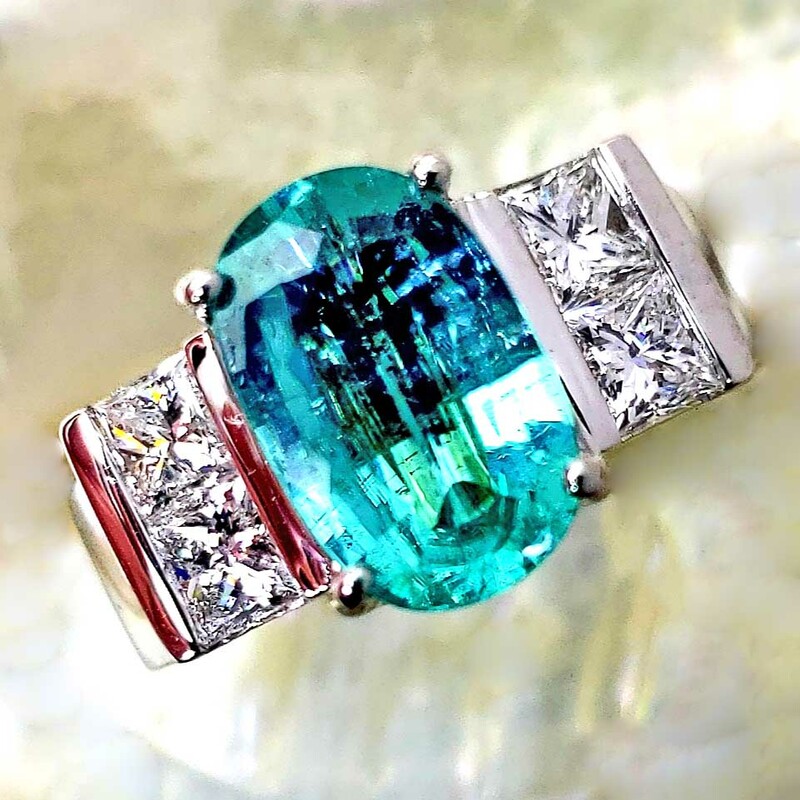 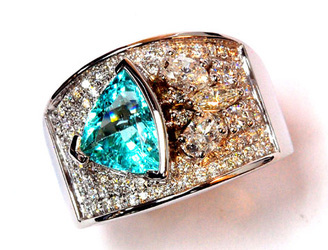 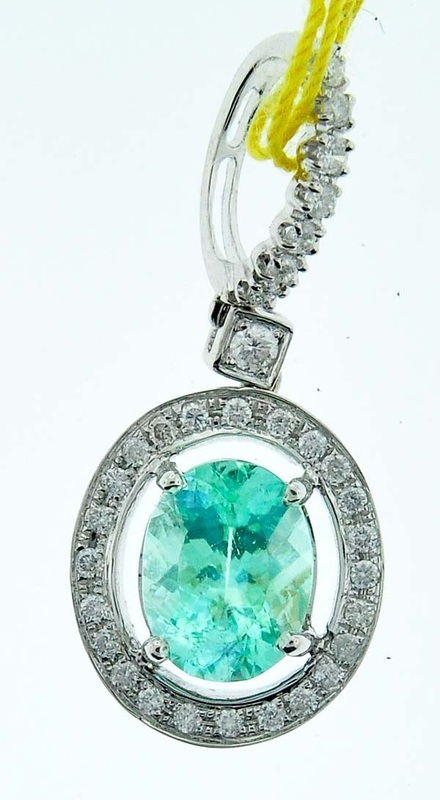 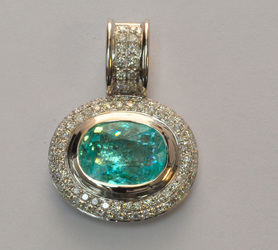 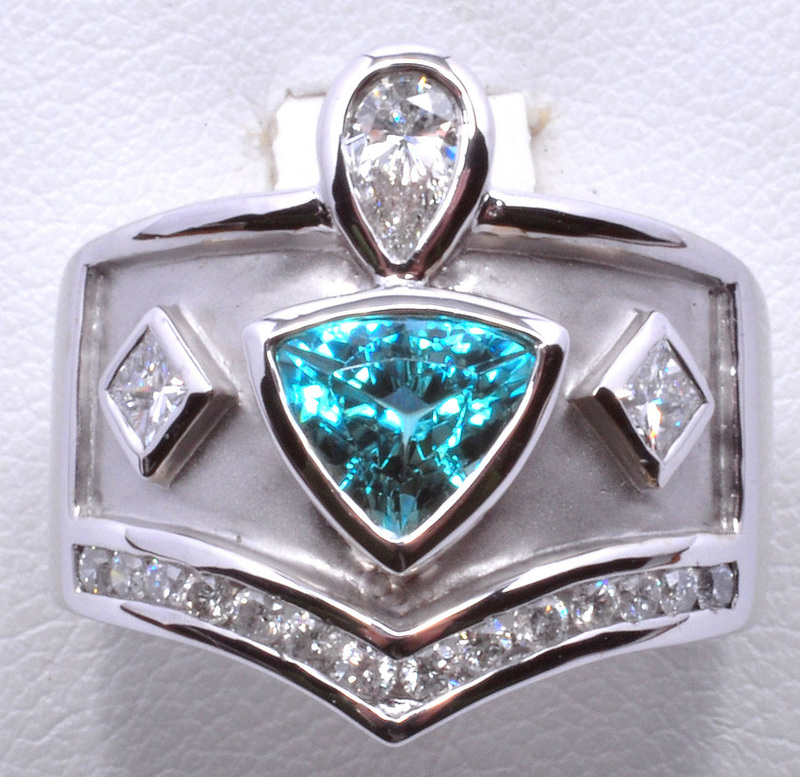 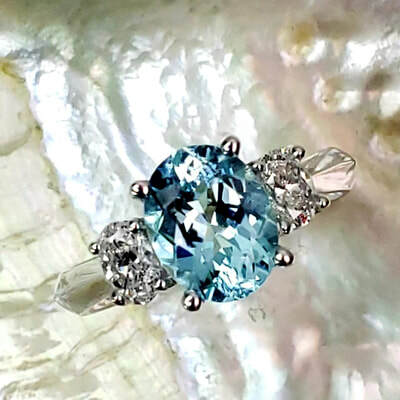 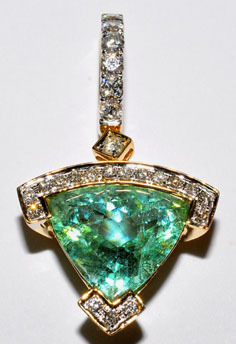 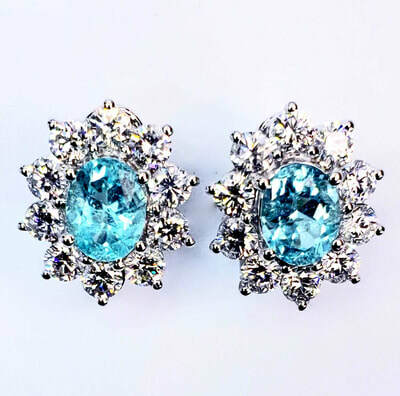 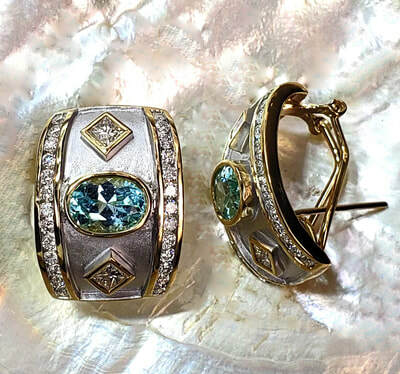 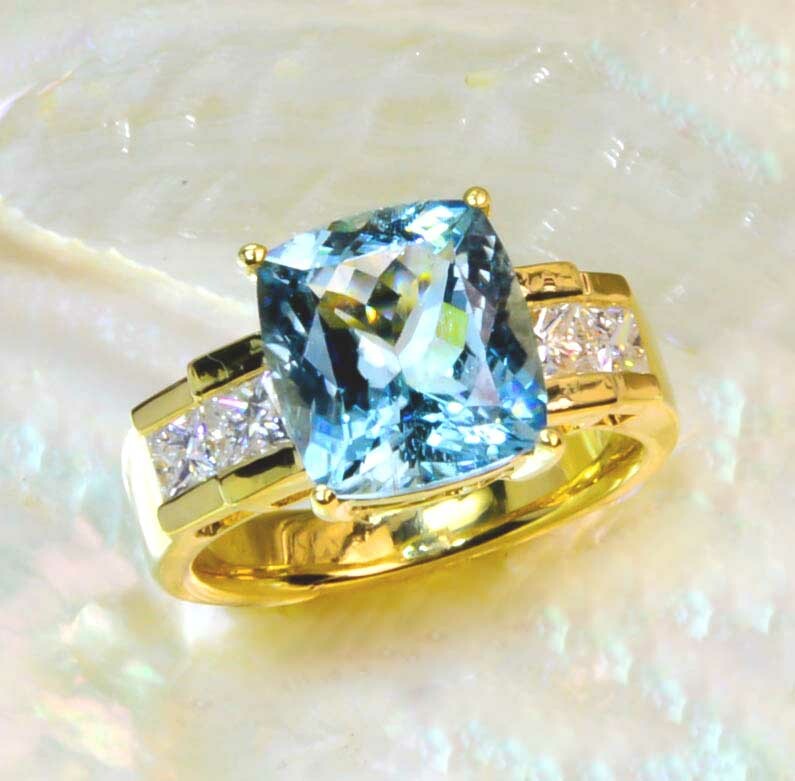 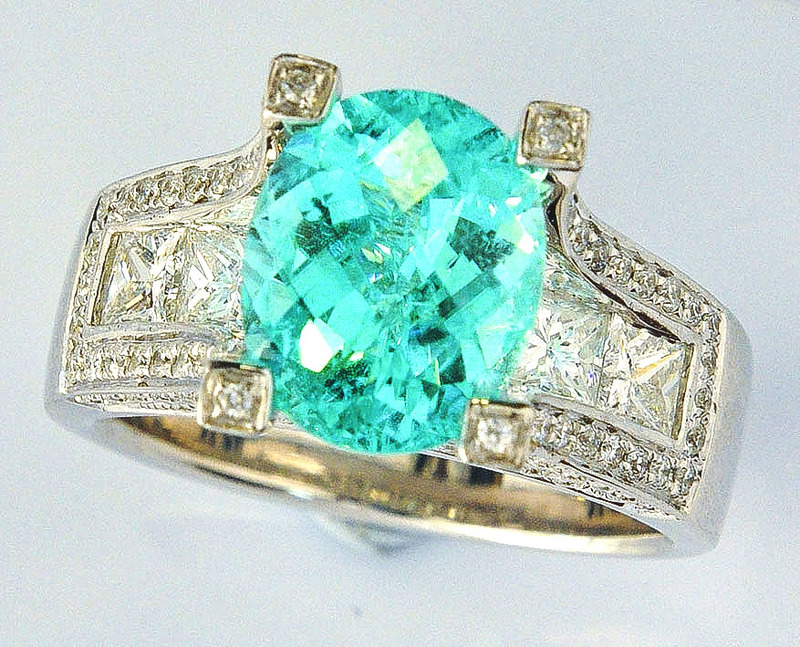 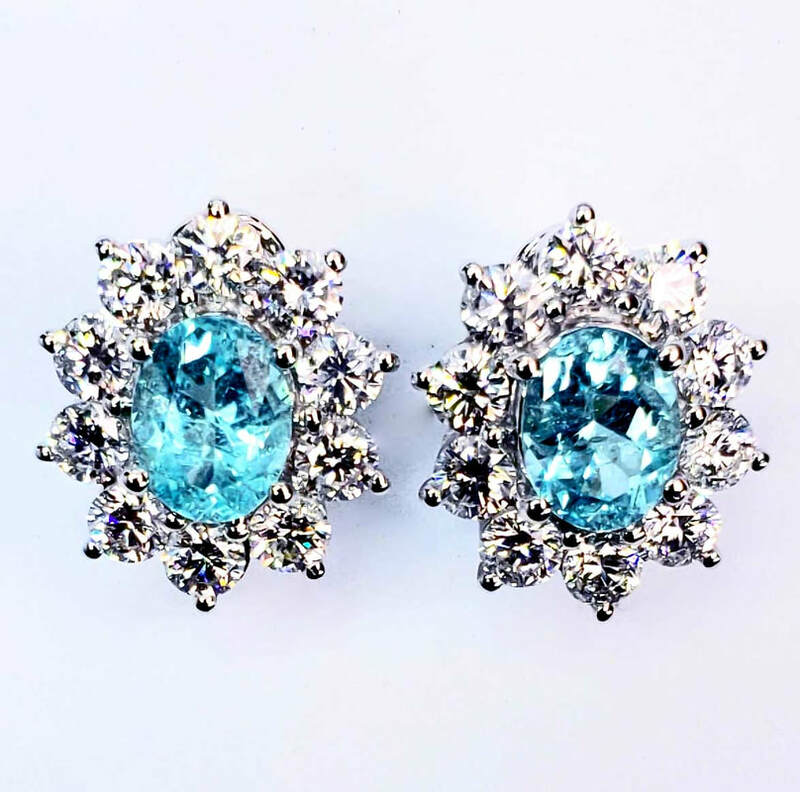 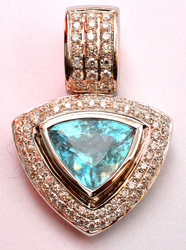 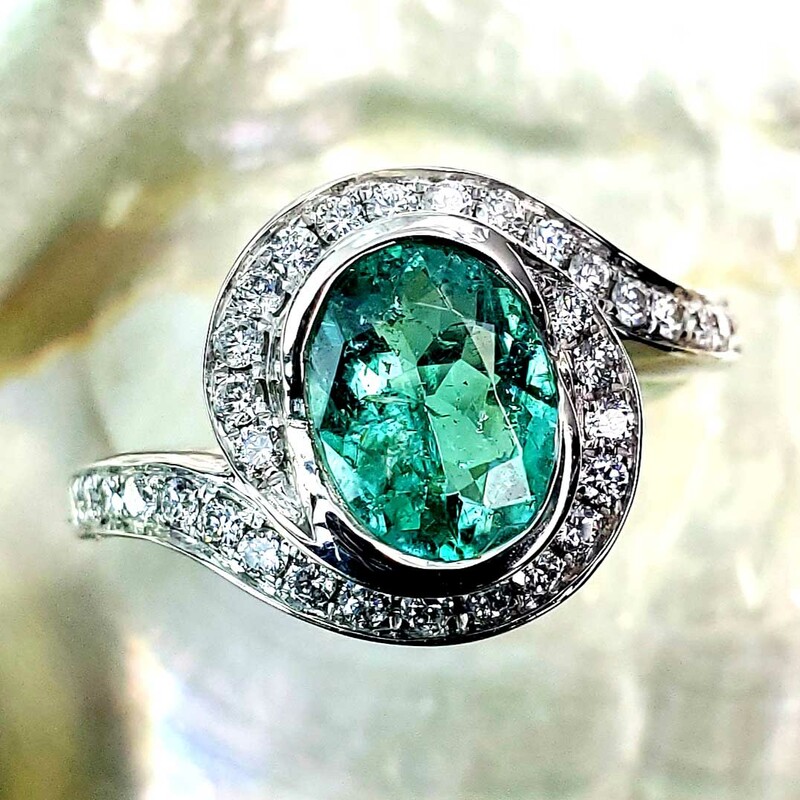 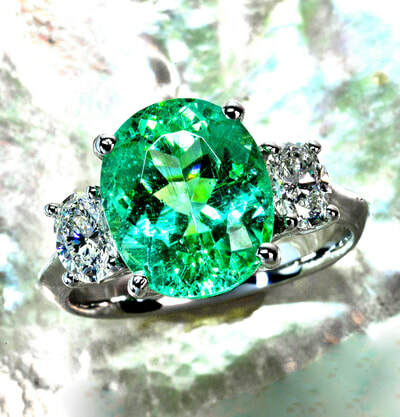 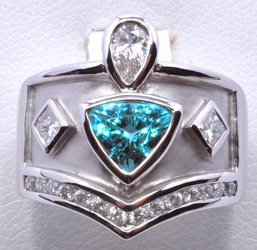 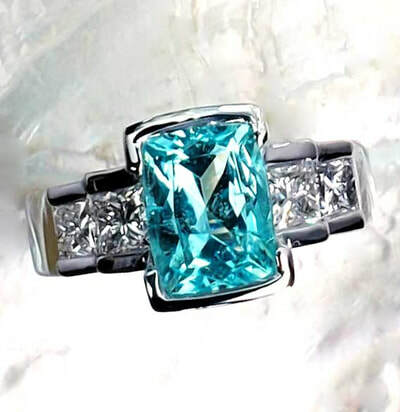 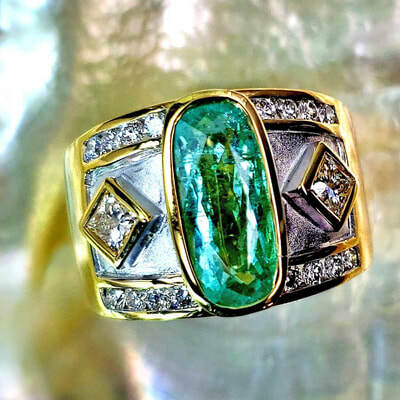 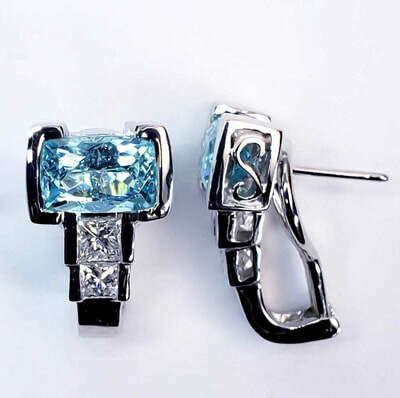 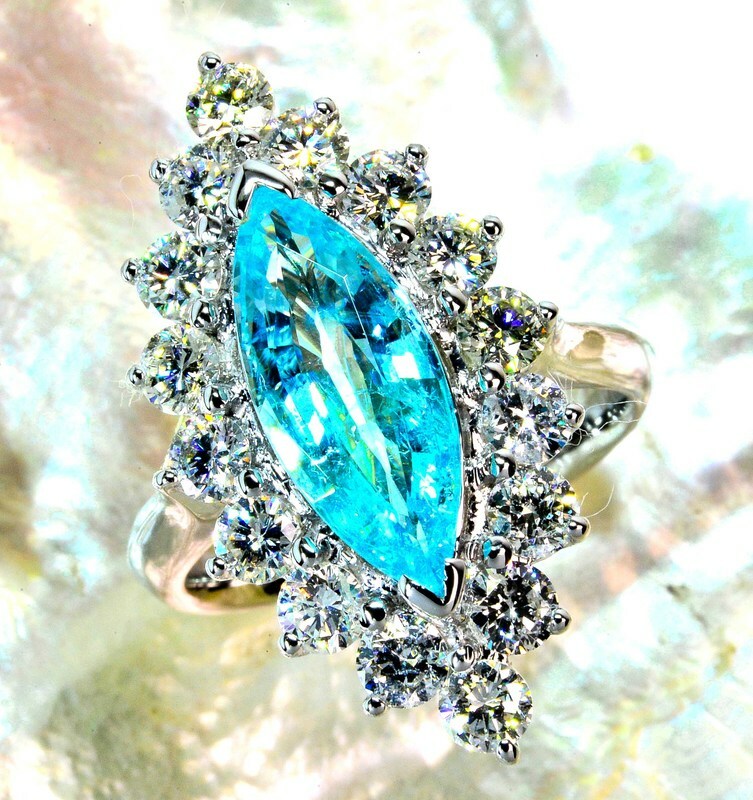 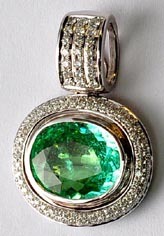 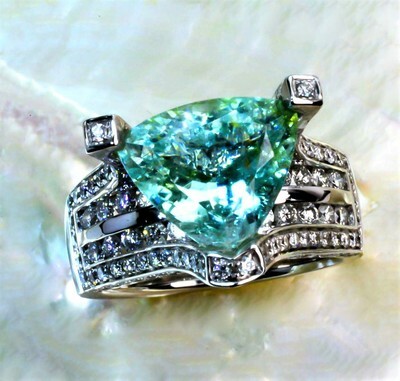 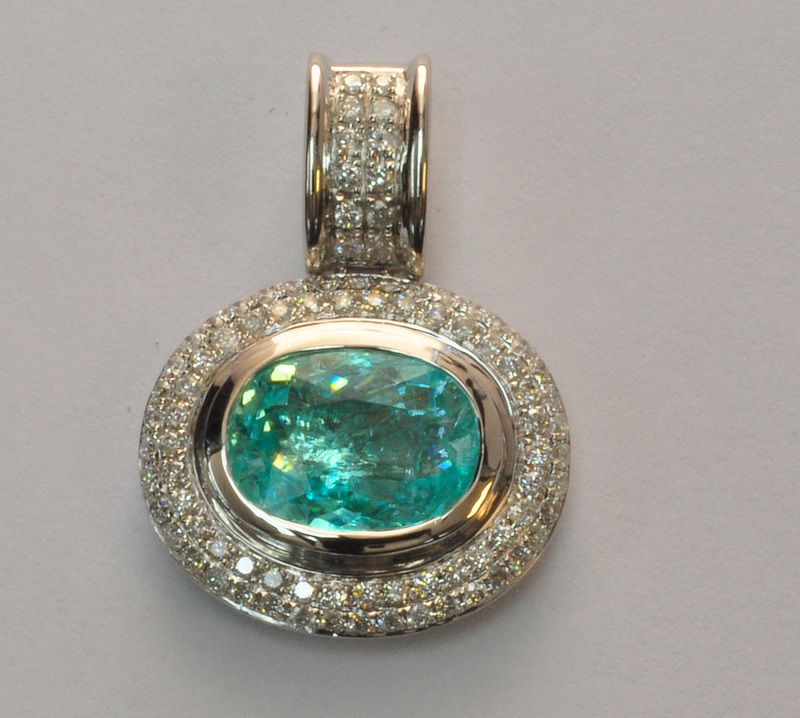 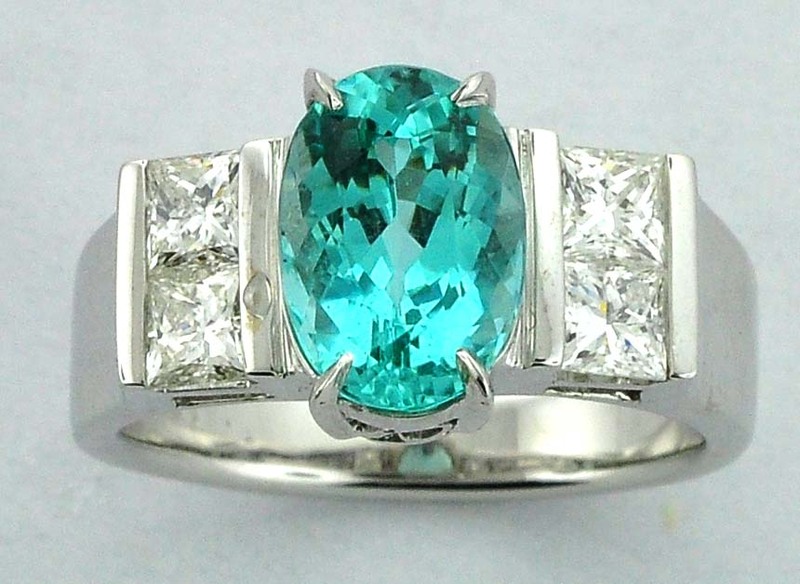 Paraiba Tourmaline is one of the hottest gemstones in today's market. 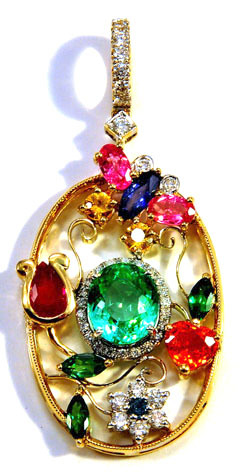 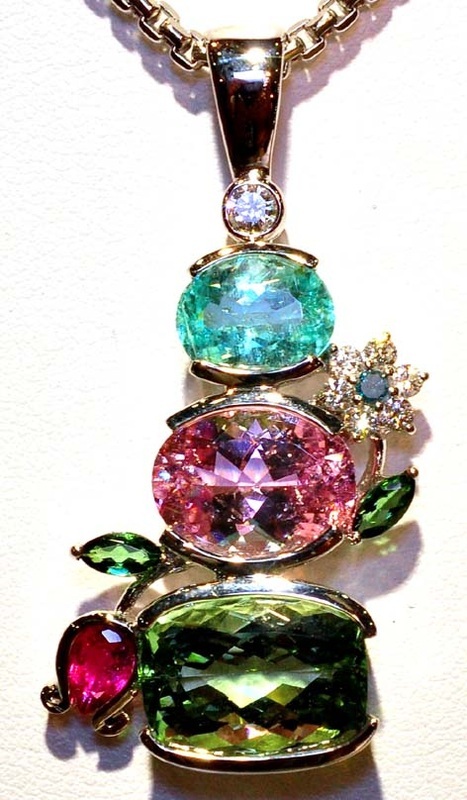 It belongs to the Tourmaline family of gemstones. This type of Tourmaline contains copper and manganese, which is what gives it such a beautiful neon glow. 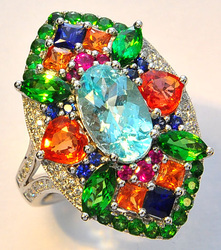 This gem comes in a range of colors, from electric blue to neon green. 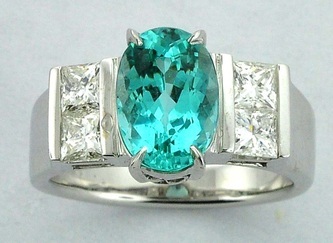 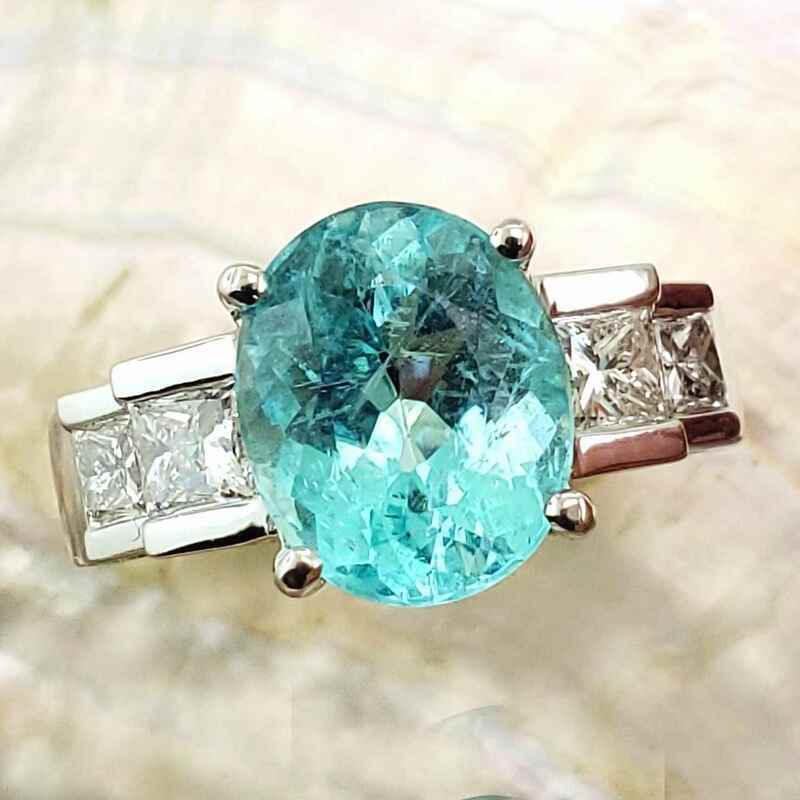 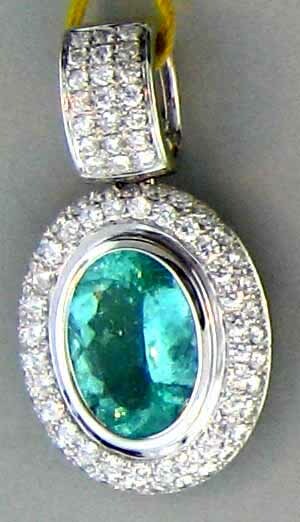 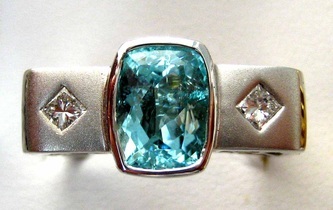 Paraiba tourmaline is usually quite included, but it more than makes up for it with it's electrifying color. 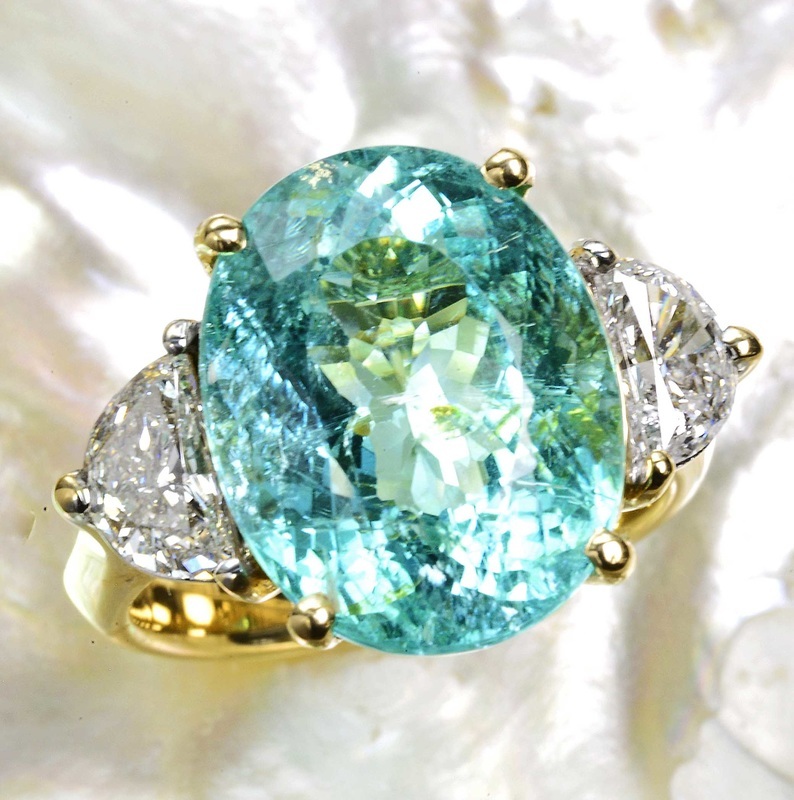 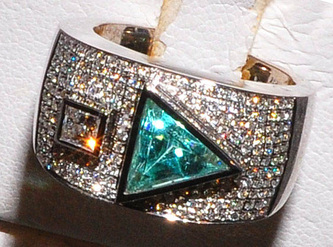 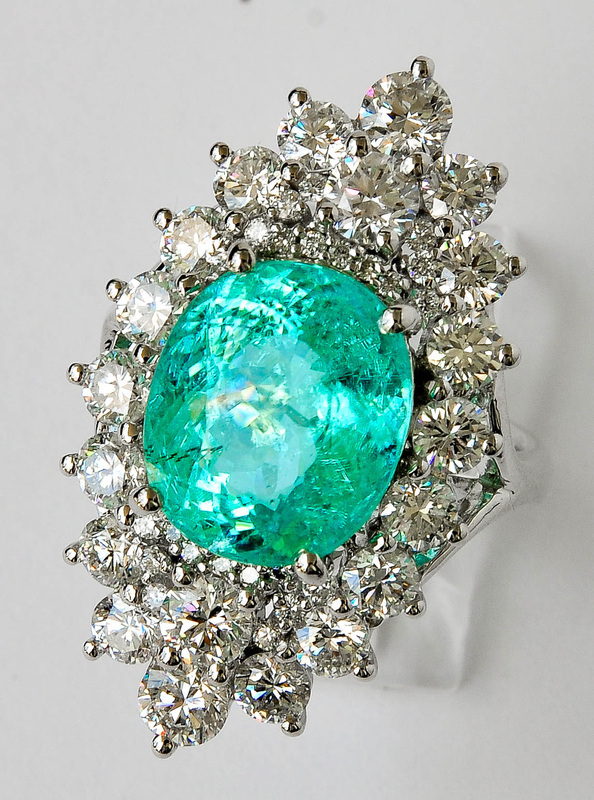 Paraiba Tourmalines are extremely rare, and come from Brazil and Africa. 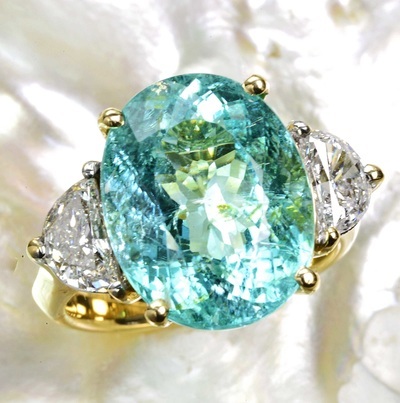 Our Paraiba Tourmalines hail from Mozambique, and tend to be cleaner than Brazilian material.